Kids take whole and broken pieces of pasta (1/2 cup) and mix it with 2 tbsp of water in a cup. They dump out the water. Then, they add 2 tbsp of glue to the wet pasta (sand - optional). They stir it around, pour it on wax paper (let it dry), and create coquina! 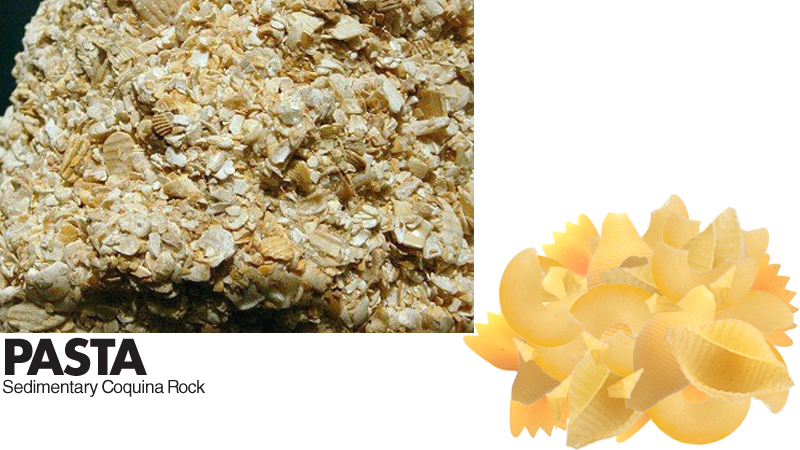 "Coquina is a sedimentary rock (limestone) that’s formed when seawater minerals cement seashells and sand together." - Education.com. Check out the full activity here!